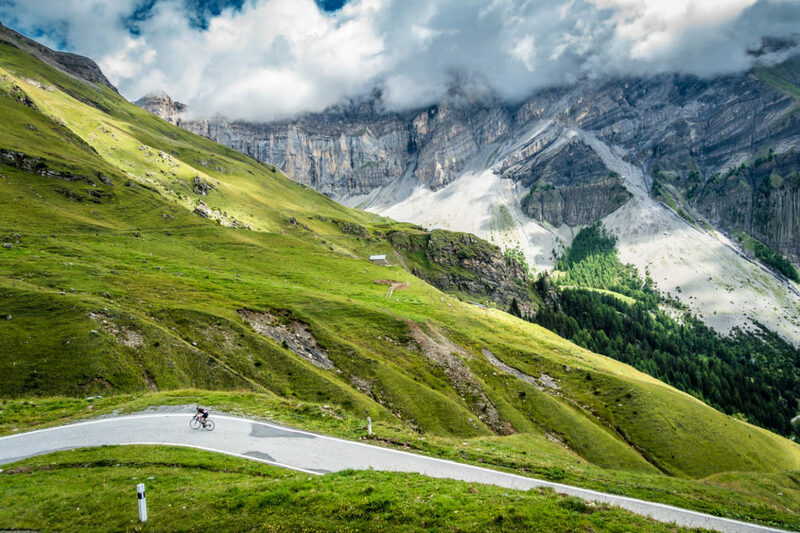 The ascent starts in the Rhone valley and meanders through Valais vineyards, Switzerland’s largest wine-producing canton, before reaching woodlands and a series of hairpin bends. The turns lead you to pastures and the summit (alt. 2252m) near the Tsanfleuron glacier. Lights are a must for the 800m tunnel two kilometers before the pass itself. Sanetsch Lake, a few kilometers beyond the summit is the end of the road. Does that mean having to turn back? No: you can attach your bike to the aerial cable car and go down 1000m to Gsteig near Gstaad. 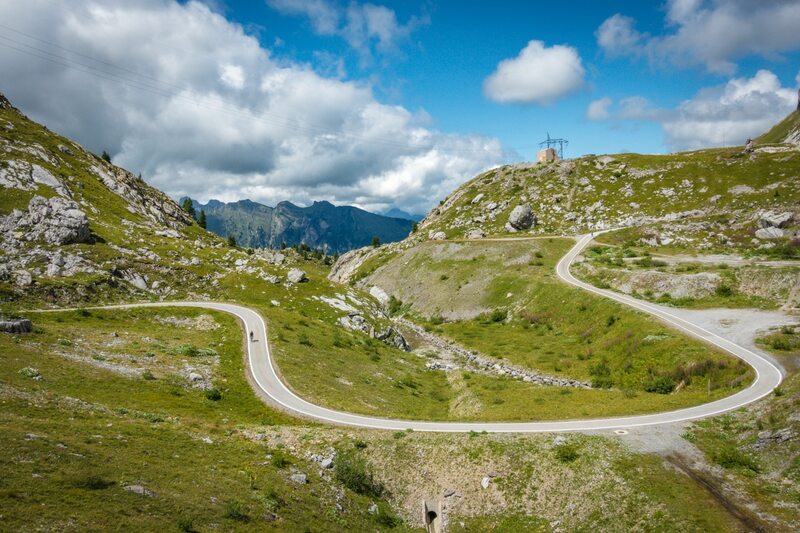 You then climb to the Pillon pass (alt. 1546m) and make for Les Diablerets before arriving back on the Rhone valley floor at Aigle. After that, you have two ways of returning to Sion: take the train, or cycle back for 55km on the wonderful level cycle path along the Rhone. The Sanetsch-Gsteig cable car operates between June and October. The timetable may be found here. 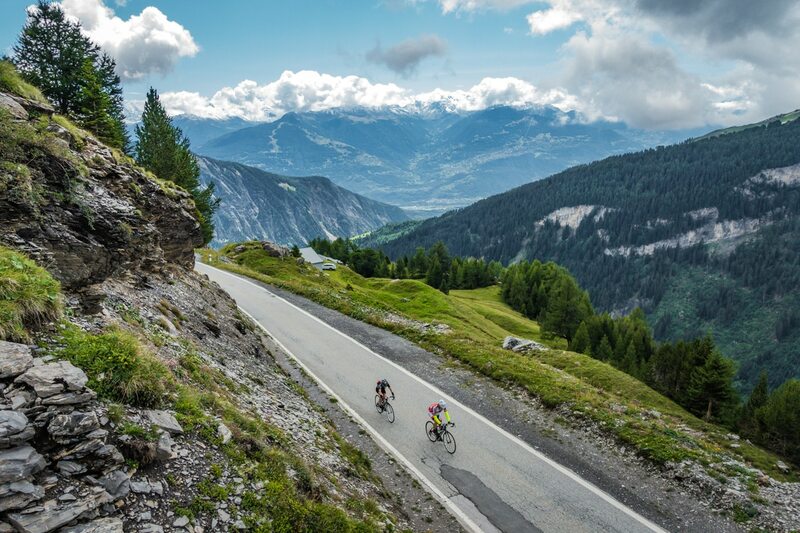 TIP: Bring warm clothes, even if the forecast promises fine weather in the Rhone valley: temperatures can drop more than 15 degrees during the ascent. Also, you will climb for 2 to 3 hours so make sure you fill your bottles at the last restaurant before the top at km 19. Big views on the Rhone valley, where the climb started. Approaching the cable car station.